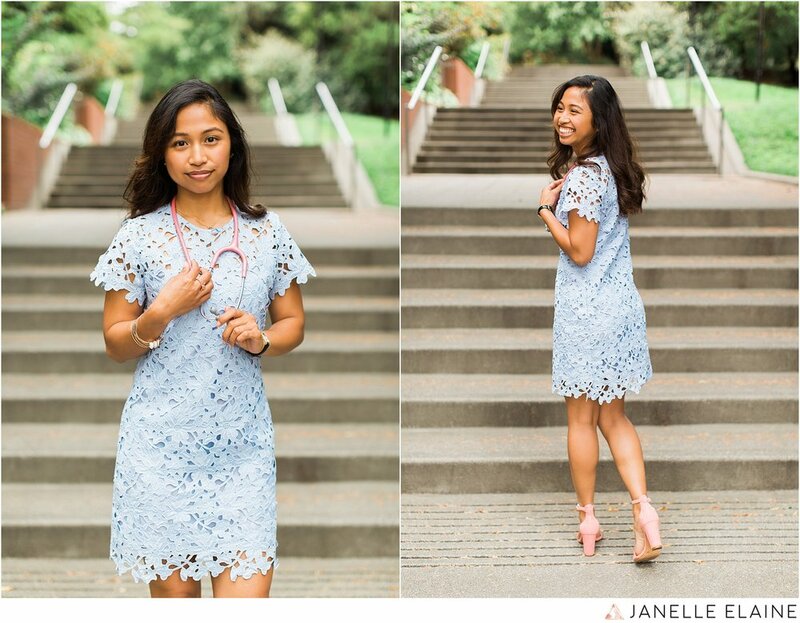 This Hawaiian babe is crushing her goals and graduating from Seattle University with her BSN! Victoria asked me to photograph her senior portraits and gave me a bit of a shock when she said it was her first time having professional portraits taken by herself. Growing up, it was pretty customary to have professional shots taken at our high school graduation and senior, but that was not a thing for her! Of course, that didn't stop her from being her gorgeous and fun self and totally rocking her photo shoot around the campus she's spent hours learning at. I love watching the nerves shift at the beginning of a session to the comfort and ease that sets in once someone realizes a photo shoot is actually pretty fun. Congrats Victoria! Your hard work is not going unnoticed and you're going to do amazing in your nursing career! Leave some love in the comments below and tell me, when was the last time you've had professional portraits taken?